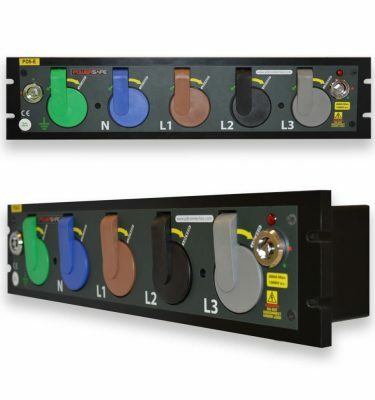 Phase 3’s Powersafe panel mount connectors are the highest rated, safest and finest quality Live 2 panel mounts as used by the power distribution, events, military and cable assembly industries worldwide. Powersafe Phase 2 Panel Mounts are electrical industrial sockets for generators, batteries, busbars, switchgear and power distribution boxes. 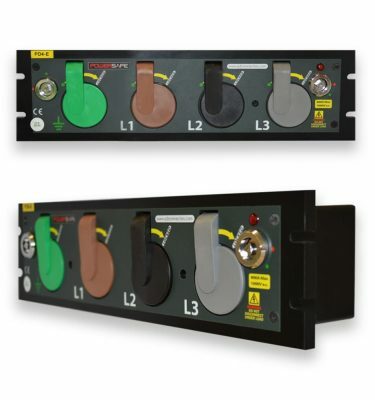 The powerlock panel mounts are available for all three phases plus neutral and earth. Powersafe Sockets have the same mechanical locking system as their inline counterparts; secure coupling of plug and socket is achieved through an innovative mechanical locking system that disengages with a simple release key. 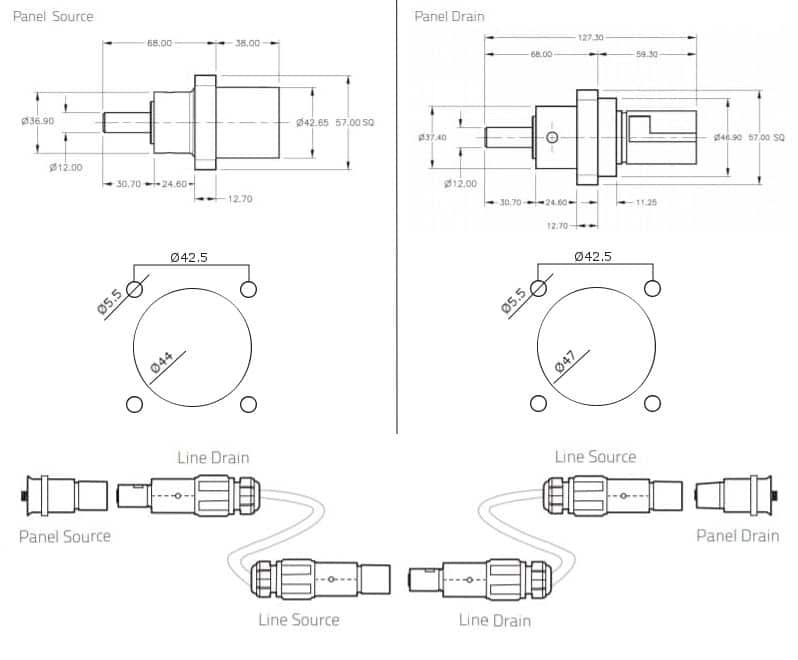 The electrical industrial sockets are compatible with other manufacturer’s powerlock panel mount connectors. Powersafe panel drain devices mate with Powersafe L2 Source Plugs. 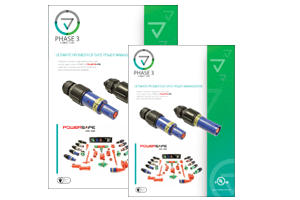 Phase 3’s powerlock drain connectors are supplied fully assembled with a female contact and male thermoplastic insulator. Powersafe panel source devices mate with Powersafe L2 Drain Plugs. 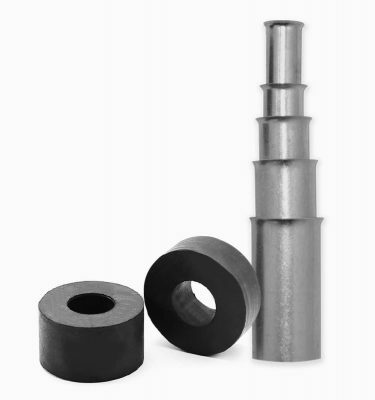 Phase 3’s powerlock source connectors are supplied fully assembled with a male contact and female thermoplastic insulator.